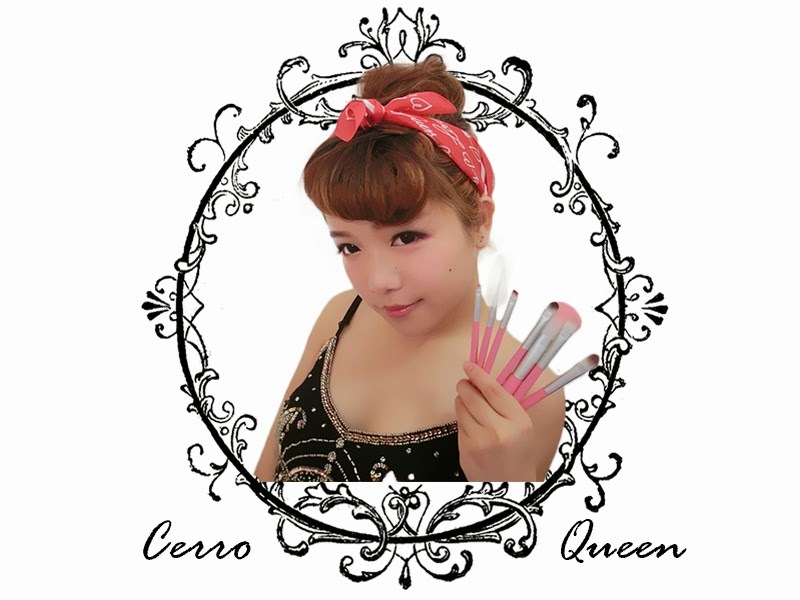 After waited for nearly a month, I got my Cerro Queen Makeup brushes with me now. All thanks to Nationwide courier service and they even asked me to pick up the parcel myself at their office. Nah, they don't deliver parcel, they called people to pick up parcel. But still feeling thankful that Natta Cosme for putting up so much effort on tracking my parcel and all. 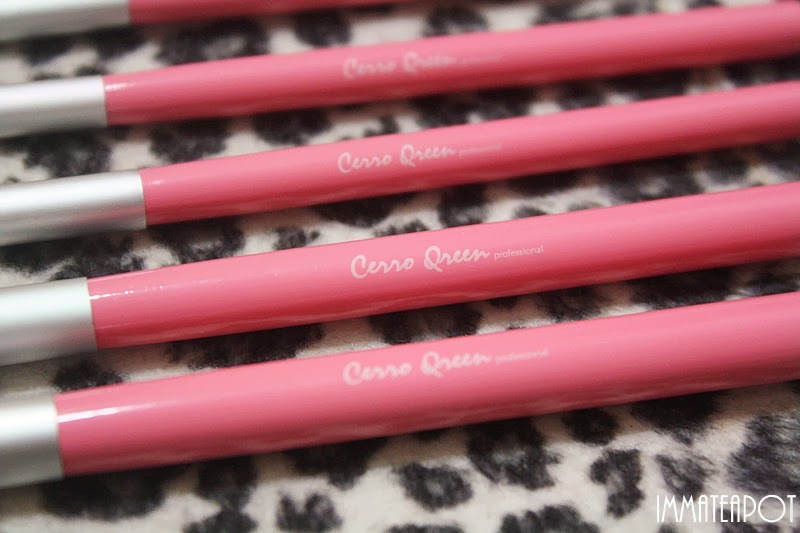 The overall packaging on Natta Cosme Cerro Queen Make Up Brush Set comes with most of the girls' favorite color, sweet or baby PINK! Pink simple-designed pouch, pink brushes and pink handle! Everything pink which totally enlighten us girl! The brush handle is made of Eco-friendly painting wooden handle. 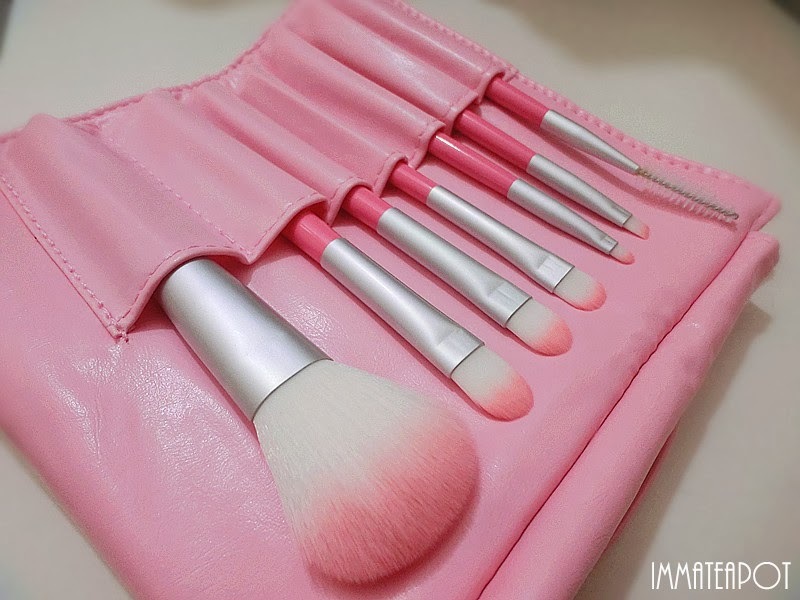 Each set consists of 7 brushes. Actually there's no limitation on what kind of brush to suit on a specific function, but make sure that they function at their best and maximum usage regarding on their shape and size. Of course they are created for something with its own characteristics. 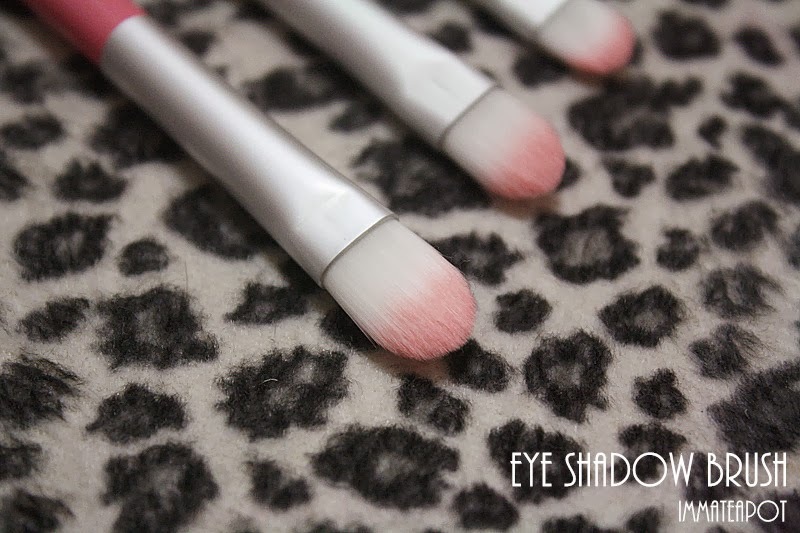 For the brush materials, they are fibers with combination of white and pink on the brush tip. 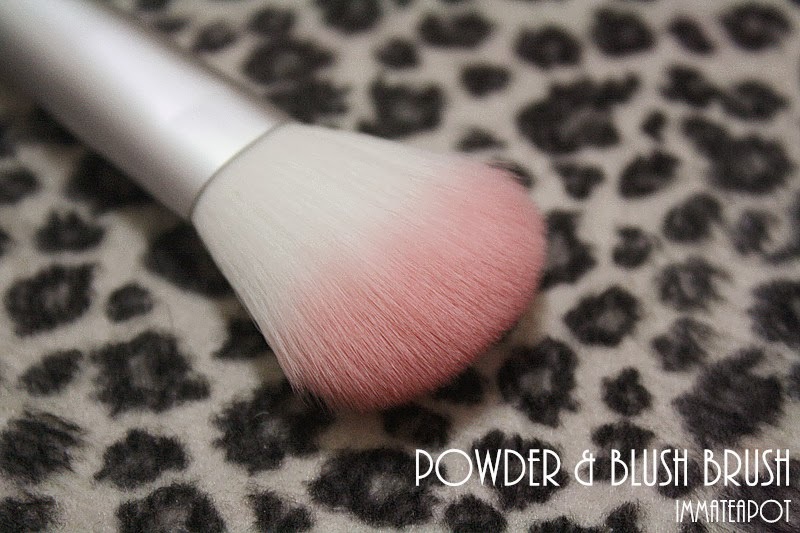 This fluffy thing is powder & blush brush which can be used to apply light loose powder (in circular motion), blush powder or even compact. Eye liner brush which can be use for details make up, like doing eyeliner or applying eye shadow on lower lash line. 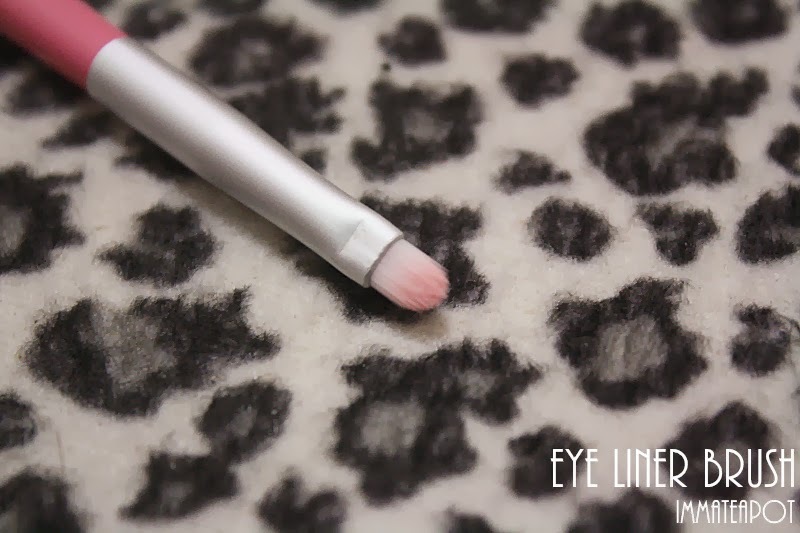 It can be used for smudging pencil or gel liner purposes as well. This is angle brush as you can see that the brush is slightly angled so that it's easier for us to create a better shape. It's used for applying eye brow powder or smudging purpose after drawing with eyebrow pencil. 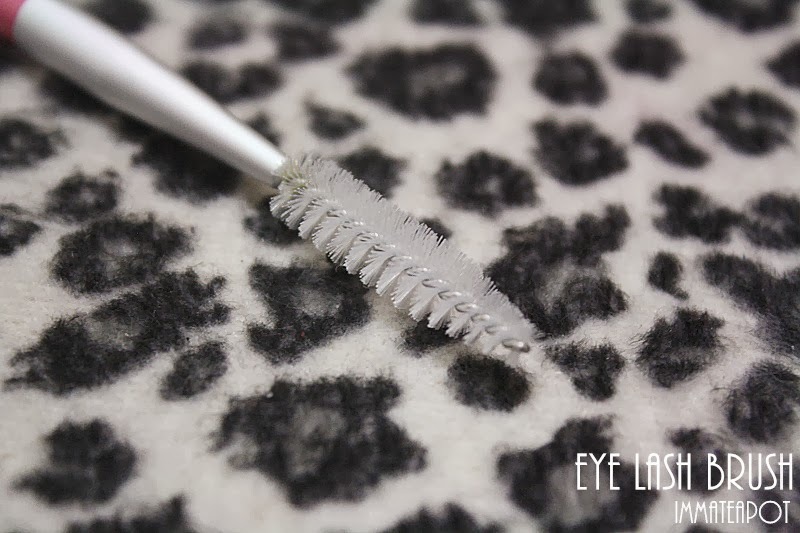 This is eye lash brush which can be used to 'comb' your eye brows in shape or smudging purpose after applying eye brow liner for a more natural finish. Meanwhile, it can be used to separate clumpy eye lashes. This is eye shadow brushes which can be used to apply eye shadow, doing highlight on brow bones and even blending purposes. After applying Skin79 CC Cream, I got my concealing job done with Office Concealer 04 and 06. It's the best concealer I have used so far. I have started off the make up with Mary Kay at Play Baked Eye Trio - Tuxedo. Apply grey around your eye socket with medium size brush to create an illusion of eye creases like European . 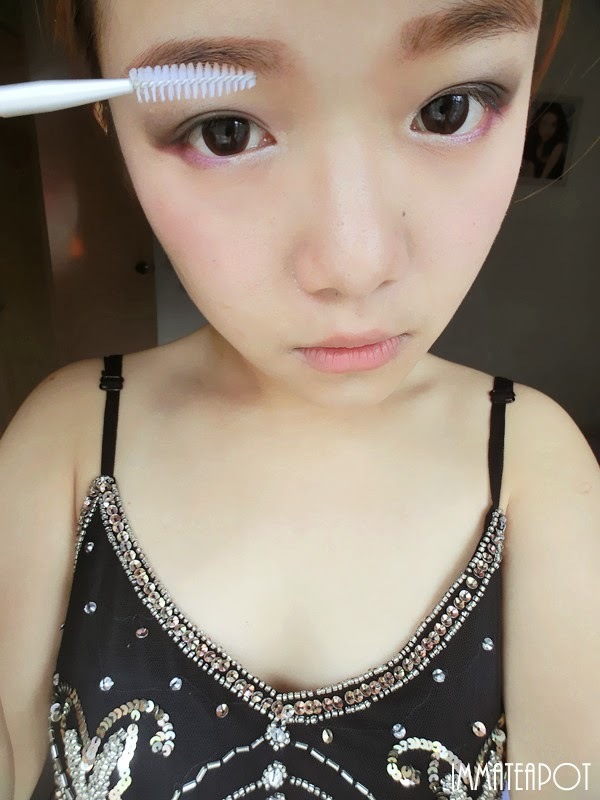 Blend it with black on your double eye lid, so that your parallel eyelid appears to be obvious and creating larger eyes. Lastly, blend all the eye shadows well with the largest eye shadow brush. Apply plum from Mary Kay at Play Baked Eye Trio - On the Horizon on your lower lash line using eye liner brush. After brushing off excess eye shadows on tissue paper, apply light peach at the inner corner of your eyes and 1/3 away from there to enhance sharp features. I am hereby using Office eye brow powder, it can create softer brows compare to eye brow pencil. Apply eye brow powder with eye brow brush, make sure your eye brows are nicely shaped before that. Follow your own eye brow shape will be fine. Then, shape your brows with eye lash brush. 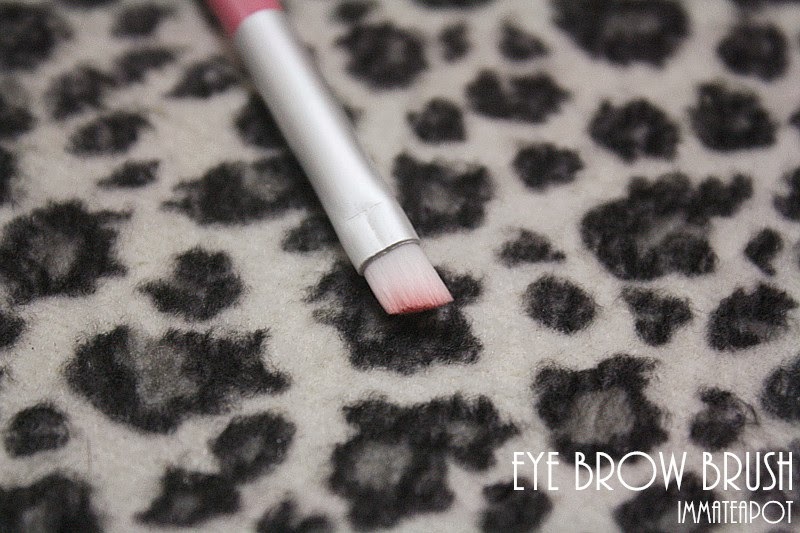 Using lash brush to brush the front part of your brows more, so that it looks way more natural. Remember that brows should be light on the front of brows then darker on arch and medium-dark on the end. You can always drag the brown shade from front part of brows to the side of your nose bridge. It can create sharp nose effortlessly. 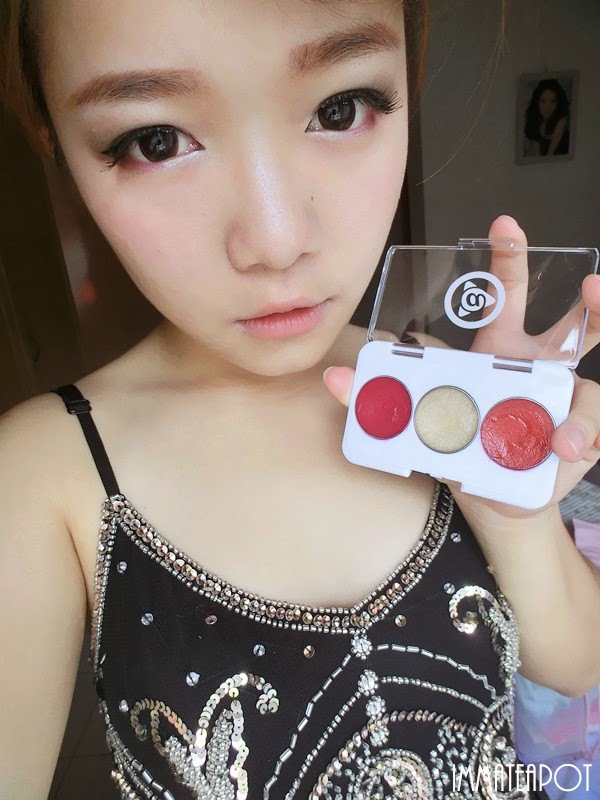 After done with the eye parts, I blushed my cheek with Anna Sui blush powder using blush brush. Eventually, got my lips done with Mary Kay at Play Just for Lips. Final look! Make use of your scarf as a hair band for this simple retro look! Disadvantage: For the eye shadow brushes, it tends to make powder-like products to be clumpy. Application of times are needed using the brushes as the colors can't appear to be vibrant especially for eye shadows for one-off-application. Too bad that there's no lip brush in this set. 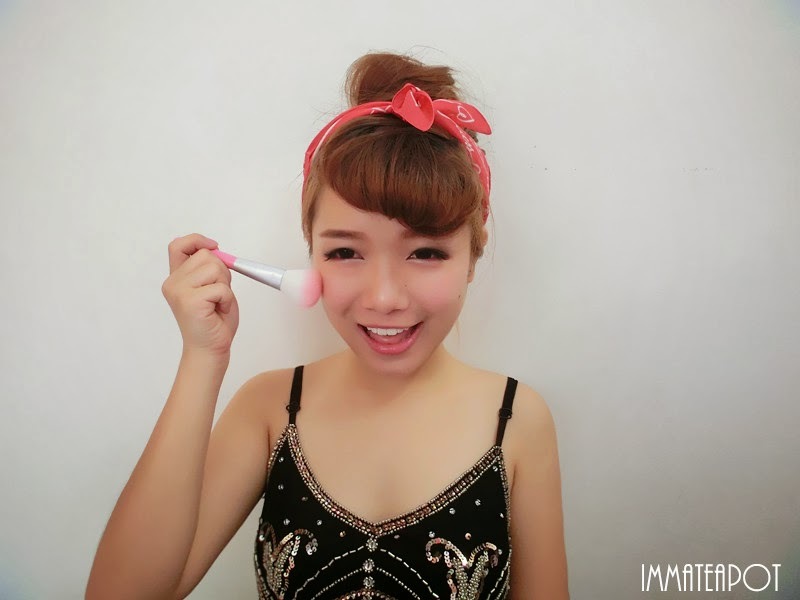 Have fun with make up!